Early on, I resisted liking Joey Bishop…. I had no reason to like him. In 1967, when ABC gave Joey his own late night talk show, frankly I hoped he wouldn’t succeed. I quietly promised myself I wouldn’t even watch his program. The reason was simple.... I was a loyal fan of Johnny Carson. For me, seeing Joey Bishop -- a member of Frank Sinatra's often irritating "Rat Pack" -- ordained to go head to head with "the king of late night" was something akin to blasphemy. But before many weeks passed, I found myself switching channels occasionally to check out Joey’s show, and actually starting to, at least, appreciate his gift of deadpan humor and naturalness with guests and the audience. He could be extremely biting, almost insulting, to guests, and then – like real people sometimes do – he could suddenly tug at the audience’s heartstrings with a vulnerability and tenderness that even the master, Johnny Carson, couldn’t quite reach. When ABC first approached Joey about hosting that talk show, he told them he would do it on one condition…. that his sidekick would be a young man he'd been watching on a local station in Los Angeles. That young man was Regis Philbin. Years from now, when all is said and done, perhaps the most significant and lasting contribution Joey made to TV was introducing Regis Philbin to a national audience. After a run of about two and a half years, Joey's ABC show was cancelled. But he didn't disappear from late night. He'd gotten quite good at hosting, so Johnny Carson would often ask him to substitute when he was away. And Joey did it more than 200 times. And the show hardly missed a beat. 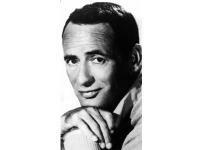 I ended up liking Joey Bishop.